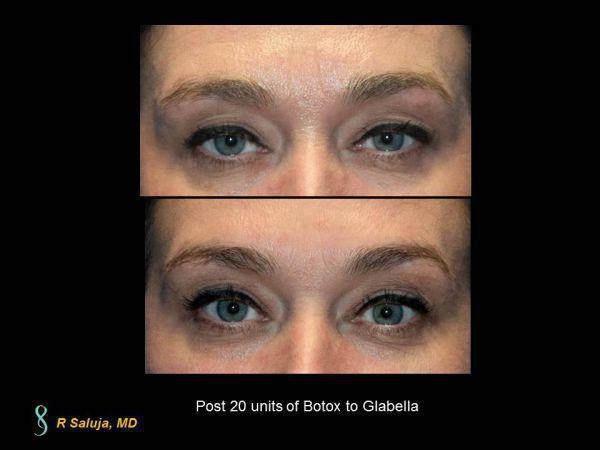 Botox not only helps to relax the dynamic wrinkles in the glabellar area (between the eyebrows) and forehead in this Charlotte, North Carolina female, but it also serves as "prejuvenation", meaning that it helps from forming a deeper static line. Over time, our muscle activity begins to show wrinkling around the eyes, forehead and glabellar area (between the brows). Botox has been around for decades, first for medical reasons such as strabismus, torticollis and muscle spasms and now for the past two decades for cosmetic purposes. With a little botox, the sad, downward appearance of the eyes can be freshened up and the wrinkles between the brows and forehead are softened. 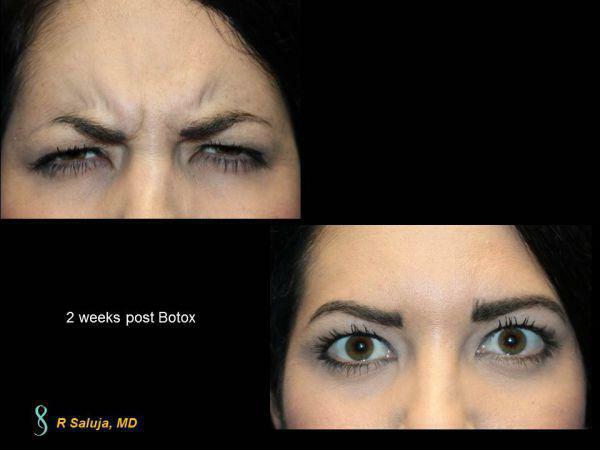 In Huntersville, NC, this is a 2 weeks post 20 units of botox to the glabellar area (between the brows). The muscles here are "depressors" so when injected, the area elevates and gives a more open appearance to the central aspect of the ocular area. 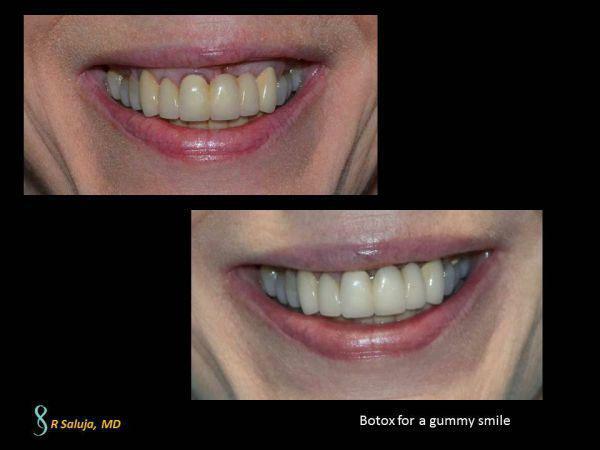 While botox is used for obvious wrinkles between the brows, to the forehead and around the eyes, another place where we use botox quite a bit is for a gummy smile. This refers to the show of the gums above the teeth when smiling. A small amount of botox can correct this and rebalance the smile. This is a Charlotte, North Carolina female that was bothered by her smile and received botox to help with the lip position. 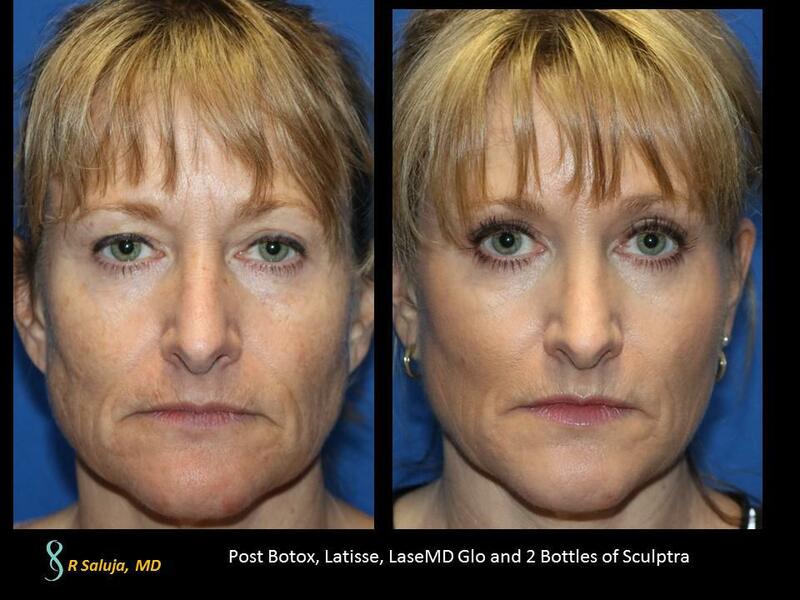 This patient had a combination of treatments including Botox, Latisse, LaseMD Glo, and 2 bottles of Sculptra.